Upminster Bridge tube station is a London Underground station on Upminster Road in the Upminster Bridge neighbourhood of the London Borough of Havering in northeast London. The station is named after a nearby crossing of the River Ingrebourne. The river was the boundary between the ancient parishes of Hornchurch and Upminster and the station is located on the western Hornchurch side. The London, Tilbury and Southend Railway from Fenchurch Street and Barking was constructed through the Upminster Bridge area in 1885, with stations at Hornchurch and Upminster. The Whitechapel and Bow Railway opened in 1902 and allowed through services of the Metropolitan District Railway to operate to Upminster. The Metropolitan District converted to electric trains in 1905 and services were cut back to East Ham. 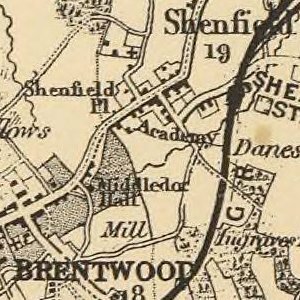 Delayed by World War I, electrified tracks were extended by the London, Midland and Scottish (LMS) Railway to Upminster and through services resumed in 1932. The Metropolitan District Railway was incorporated into London Transport in 1933, and became known as the District line. 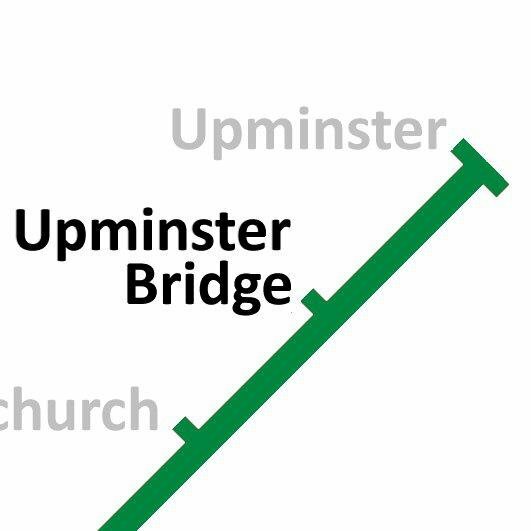 Upminster Bridge station was opened on 17 December 1934 by the LMS on the local electrified tracks between Upminster and Barking. The main station building is of a distinctive polygonal design. It has relatively low usage for a suburban station with approximately 1 million entries and exits during 2011.